Since the creation of the world famous Panama Canal in 1914, one of the most important shipping routes in the world, this country has been at the heart of international shipping, serving as a connection point between the Pacific and the Caribbean. With the canal’s 100 Year Celebration this year, tourism is at an all time high. Clear turquoise seas, coffee farms, cloud forests, rainforests, indigenous culture, wildlife viewing, and an explosion of nature, Panama offers unique experiences for all interests. 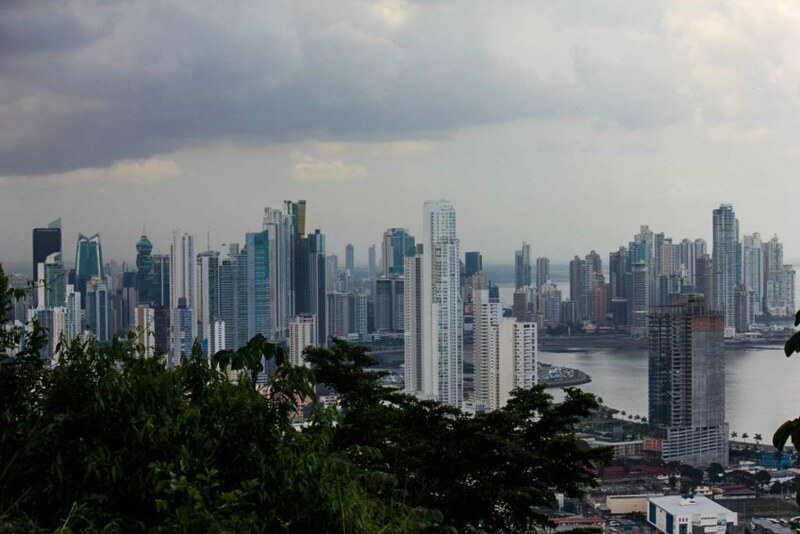 As I drove through the streets of Panama City, I noticed children playing in parks, men and women running along well-lit, beautiful paths through the heart of the city, and basketball courts filled with players of all ages. The city was alive and locals and tourists felt safe both day and night. Boquete Outdoor Adventures – The Chagres and Chiriquí Viejo Rivers have exciting white-water rafting routes that pass through pristine rain forest. From June to December they are complemented by half a dozen smaller rivers near Boquete. Boquete Outdoor Adventures is a licensed and reputable company that offers daily whitewater rafting excursions on the Chiriqui Viejo. Gamboa Rainforest Reserve – Experience the Gatun Lake boat tour through the Panama Canal where Capuchin and Howler monkeys can be seen leaping in the trees above. Embera Indian Village – This is one of Panama’s most popular tours. You will take a dug-out canoe up a beautiful river surrounded by rainforest to an authentic Embera Indian Village. Before arriving to the village, you’ll stop at a hidden waterfall where you can take a dip or simply enjoy the view. Greeted by dozens of friendly Indians in traditional attire, you’ll learn about their way of life, history and beliefs. Dress code: Comfortable clothing, bathing suit, towel and walking closed-toed shoes (you may get wet when hiking to the waterfall depending on water level). Money Matters – Panama has used the US dollar as its only currency since 1904 – although Panamanians often refer to it as balboa. When to Visit – Panama’s rainy season usually between June and November, with rainfall much higher on the Pacific side of the country. In February or March, Panama celebrates Carnaval, a boisterous nationwide fiesta most notable for its lively water fights. Passport – Most travelers from Western countries can visit Panama for up to 90 days with the purchase (on arrival) of a $5 tourist visa; you can buy this upon arrival or at the check-in desk of some airlines. Your passport must be valid for at least six months. Electricity – Electrical current in Panama is 110 volts, the same as in the United States. Outlets take either plugs with two flat prongs or two flat prongs with a circular grounded prong. No converters or adapters are needed. Bugs – Don’t forget your bug spray; the bugs are plentiful in Panama, even in the city. Such an awesome travel guide. Panama seems astonishing!